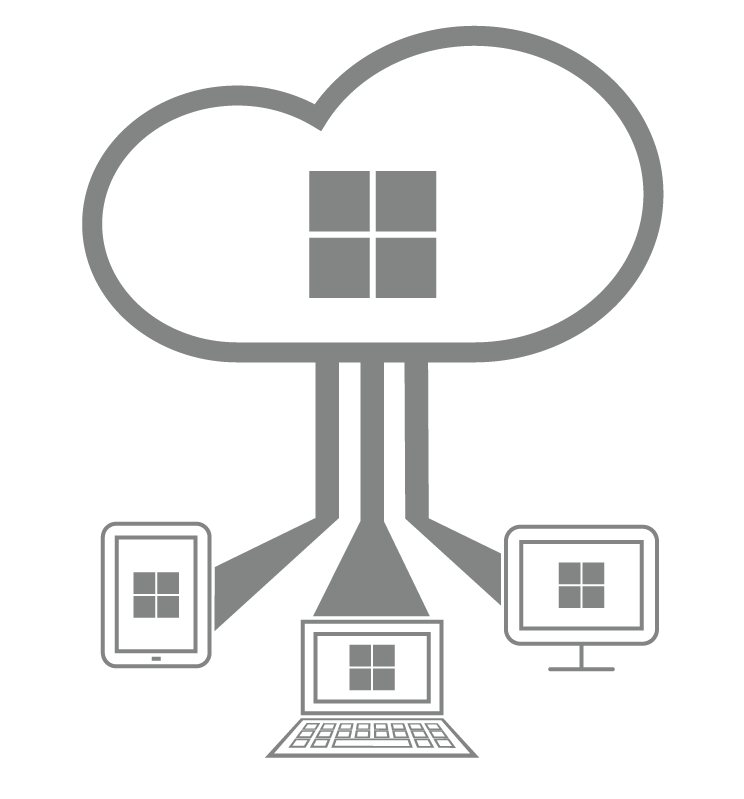 Our Desktop as a Service (DaaS) solutions give you access to fully featured Windows® desktops running entirely from the cloud, so you can deploy a whole network of computers in an instant without actually buying any physical device. Innovitel’s DaaS solutions provide easily deployable Windows® desktops, accessible via any modern computer with an internet connection, for a very reasonable monthly fee. This flexible model allows you to choose the number and type of interfaces according to your needs. Furthermore, since all the back-end infrastructure is hosted by DaaS providers, they will be taking care of the maintenance and hardware-related issues in your place, without interfering with your workflow. DaaS providers own data centers in many different locations. So if for example a flood would impair one of them, the other data centers would not be affected. Furthermore, you can easily back-up entire virtual desktops onto individual images, and store them offline for additional protection. In order to prevent disruptions to your workflow, having a back-up plan is always a good idea. When it comes to computers, this means securing access to an alternative workstation for each employee in case their own stops working properly. For businesses with many workers using computers, such a policy could come with an unnecessarily heavy price. Thanks to DaaS solutions, however, your IT department can deploy as many cloud-based desktops as needed in a matter of minutes, for a fraction of what the same amount of physical devices would cost. With Innovitel‘s expertise in cloud computing on your side, you can rest assure your business is relying on the latest and most robust virtual workstation technologies.